A $25 late fee will be assessed on applications received after the 5th day of the graduating term for Fall or Spring graduates and after the 2nd day of the graduating term for Summer graduates. Note: Official transcripts and diplomas will not be released if any financial obligation exists between the student and the University. Commencement is held in December and May. Participation in commencement is voluntary, and students who complete all degree requirements in the Fall will be eligible to attend the DECEMBER commencement ceremony. Students who complete all degree requirements in the Spring and Summer will be eligible to attend the MAY commencement ceremony. More information about commencement can be found at https://www.missouriwestern.edu/commencement/. Application For Graduation – Undergraduate: A $40 graduation fee for the first degree (additional $10 for subsequent degrees) must be submitted with the graduation application. Please note the addition of a $25 late fee referenced above. The graduation fee includes domestic shipping for the diploma/transcript. International shipments ONLY must be initiated by the student and use eShipGlobal. Undergraduate students earning a bachelor’s degree must complete the ETS Proficiency Profile online exam. 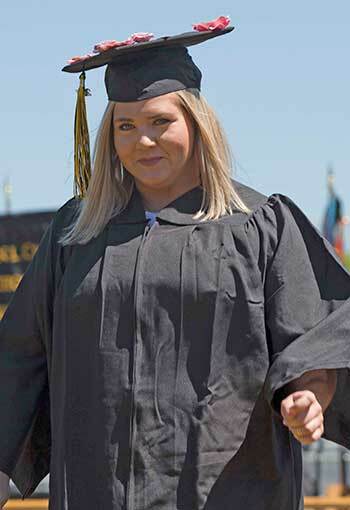 If you have questions please contact Academic Affairs at MWSUGraduationInfo@missouriwestern.edu or call 816-271-4364. Application For Graduation – Graduate: An $80 graduation fee for the first degree (additional $40 for subsequent degrees) must be submitted with the graduation application. Please note the addition of a $25 late fee referenced above. The graduation fee includes domestic shipping for the diploma/transcript. International shipments ONLY must be initiated by the student and use eShipGlobal.